Wasco Electric Cooperative > Carousel > From The Dalles to D.C.
From The Dalles to D.C. 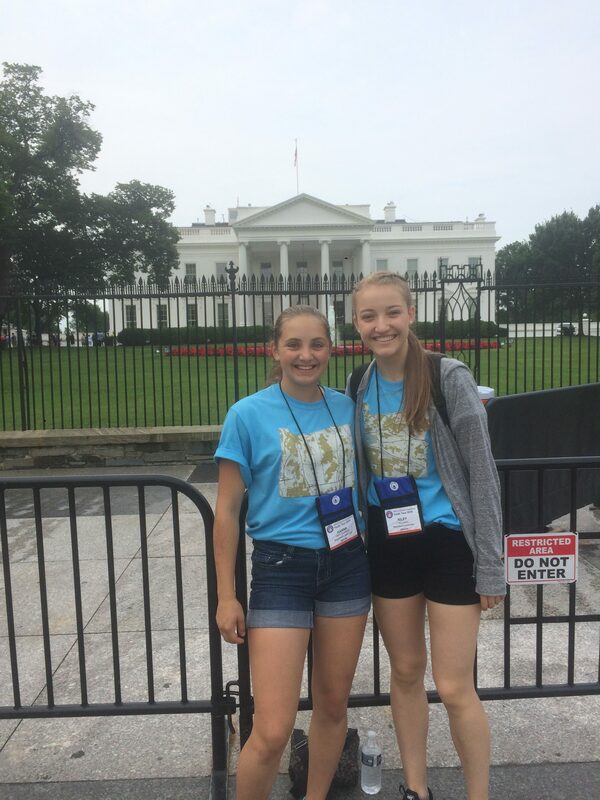 Tired but inspired, two local teens experienced a once-in-a-lifetime adventure this summer when they traveled to Washington, D.C., for the Electric Cooperative Youth Tour, an annual trip organized by the National Rural Electric Cooperative Association. 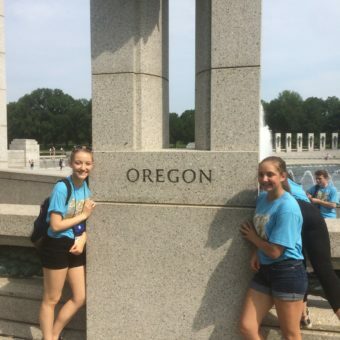 With scholarships provided by Wasco Electric Cooperative, Hanna Ziegenhagen and Riley Brewer of The Dalles enjoyed an all-expenses- paid excursion from June 10-14. More than 1,800 students from across the U.S. attended the 53rd annual gathering. “We saw everything!” says Hanna, 15, who lives on a farm on Upper Five Mile Road. A sophomore at The Dalles High School, this marked Hanna’s first trip to the East Coast. “My feet hurt and I was really tired, but it was great,” she says. The Youth Tour provides young people with an up-close experience of how government works and the importance of civic engagement. Students also learn the history of electric cooperatives and the importance of active participation in democracy. 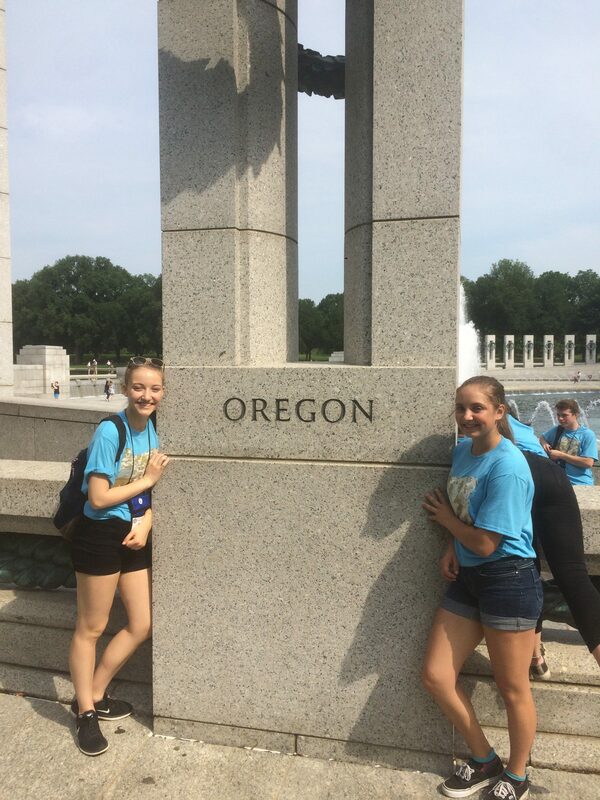 Riley and Hanna toured the World War II Memorial that honors the 16 million who served in the armed forces of the U.S., the more than 400,000 who died and those who supported the war effort from home. Since 1964, cooperatives from across the country have sponsored more than 70,000 high school students to visit their U.S. congressional delegations, learn about their nation’s history and explore the nation’s capital. Students apply and are selected for the program by their local electric cooperative. With more than 2,100 participants—about 260 are adult chaperones—this year’s tour was the largest, according to Patrick Ahearn, NRECA director of political affairs. The Oregon students toured Capitol Hill and met with U.S. Rep. Greg Walden and U.S. Sen. Ron Wyden. 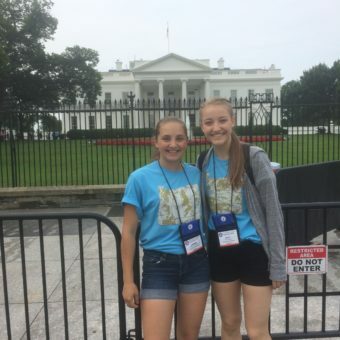 They visited landmarks and historical and cultural sites around the nation’s capital, including Arlington National Cemetery and Fort McHenry. The students enjoyed a twilight cruise on the Potomac, a Baltimore Orioles baseball game, a live performance at the Kennedy Center and a visit to the National Aquarium. 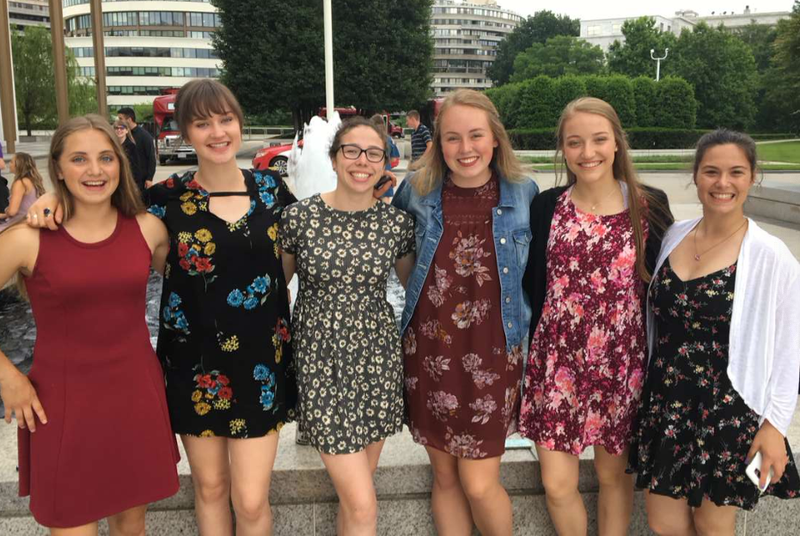 Students from 46 states enjoyed a busy schedule of cultural and historical activities and events, including a theater performance and a river cruise dance. Hanna is at far left; Riley is second from right. Hanna says she was moved by the museums, especially the Holocaust Memorial Museum and the Newseum—a seven-story interactive museum highlighting the core freedoms of the First Amendment: religion, speech, press, assembly and petition. Sen. Lyndon Baines Johnson inspired the Youth Tour when he addressed the NRECA Annual Meeting in 1957. In its first year, Youth Tour drew about 400 young people from 12 states. NRECA is a national trade organization dedicated to representing the national interests of cooperative electric utilities. It represents more than 900 electric cooperatives. “I learned that electric co-ops are very cool and really support the community,” Hanna says.